Paper flowers look like natural flowers but last longer and won’t wilt or droop. That’s why they are very popular for party or home decoration. 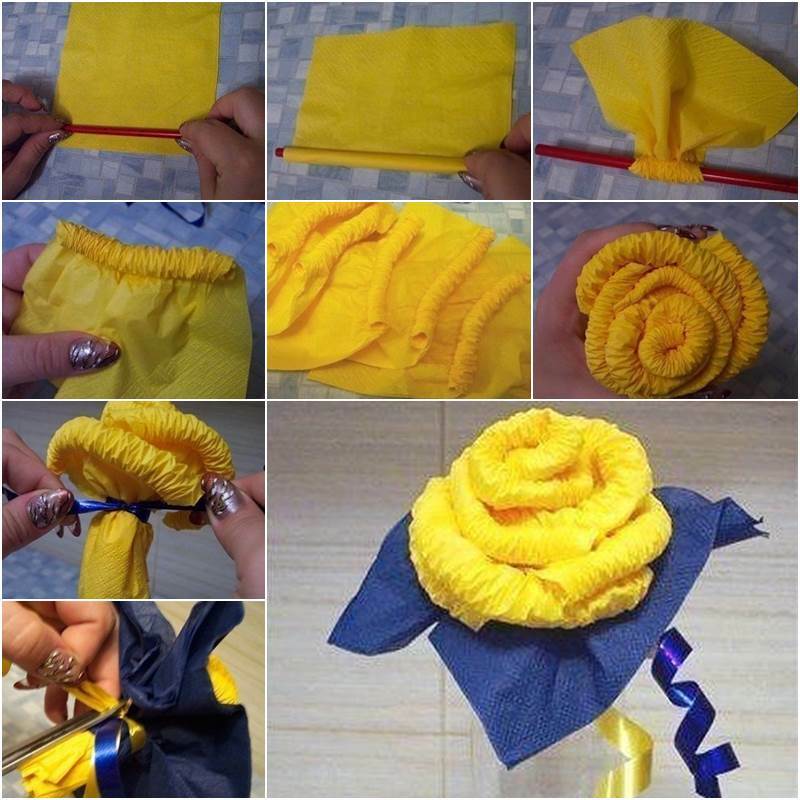 Here is a nice DIY project to make napkin paper roses. 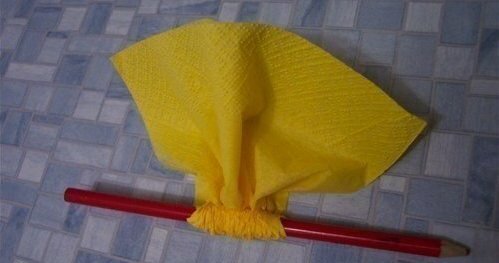 This is probably one of the easiest ways to make paper flowers. What a creative idea to form the petals by just rolling the napkins around a pencil! The roses made in this way look so unique and beautiful. 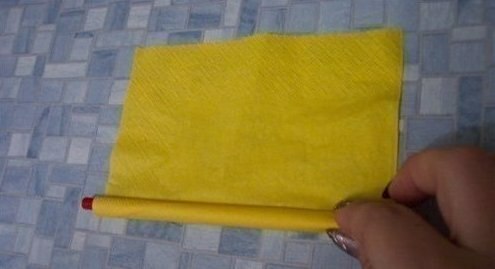 You can use different colors of napkins to make them. They give extra beauty and add a colorful touch to your table setting. You can place them on plates or goblets to decorate your tables. 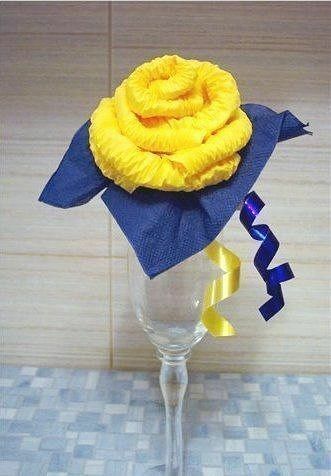 These napkin paper roses will be beautiful table decors to impress your guests! 1. 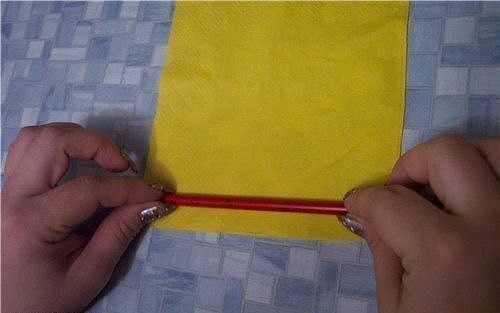 Take a piece of square napkin paper and start rolling it around the pencil. 2. Keep rolling it to about half of the napkin paper. 3. 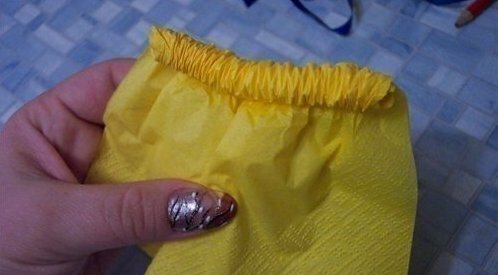 Push both sides of the napkin to the middle. 4. Remove the pencil. Now we finish one petal for the rose. 5. 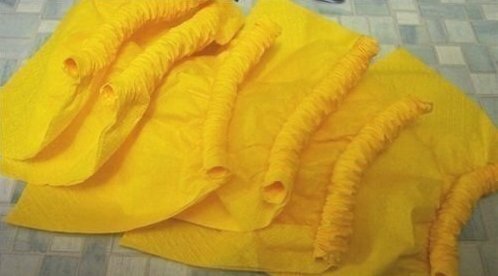 Repeat step 1 to 4 to make 6 petals. 6. 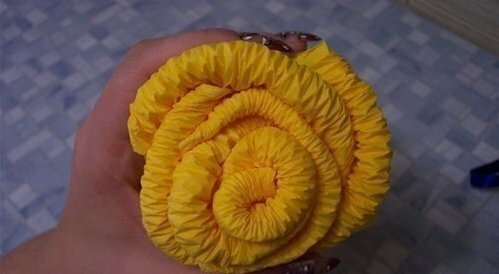 Manipulate the petals to form a rose by twisting, rolling, stacking and wrapping. 7. 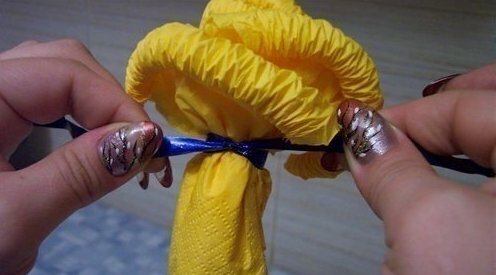 Use blue ribbon to tie around the base of the rose to secure petals in place. 8. Wrap the base with a piece of blue napkin paper as the leaf. 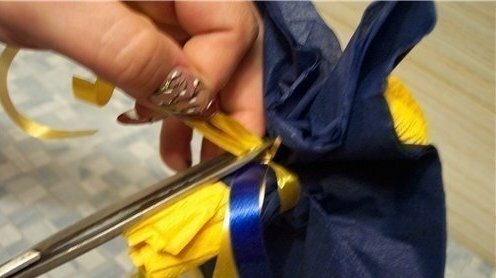 Use yellow ribbon to secure it in place and cut off the excess with scissors. 9. Place the rose in a nice crystal goblet to decorate your table. You may also place it on a plate. Enjoy!